It is with great sadness that Educate Together marks the passing of Lynn Browne. Lynn was a founding member of Ballymakenny College, an Art teacher and the school’s Assistant Principal. 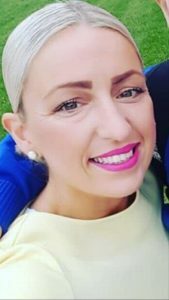 A passionate educator, Lynn’s loss will be felt by her students and colleagues at Ballymakenny College, and by the broader Educate Together community. Educate Together would like to pass our sincerest condolences to Lynn’s husband, son, family and her friends. We learned this morning of the death of our beloved colleague and teacher, Lynn Browne. This is a terrible tragedy for the family, our school and our community. We are deeply saddened by this event. Our sympathy and thoughts are with her family and friends. Lynn was a founding member of Ballymakenny College, an Art teacher and Assistant Principal. Her husband is our school caretaker. We have been in contact with her family and they have requested that we all understand their need for privacy at this difficult time. Offers of support have been pouring in and are greatly appreciated. Our school has implemented our Critical Incident Management Plan. Psychologists from the National Educational Psychological Service (NEPS) and counsellors from neighbouring schools have been with us supporting and advising teachers in their efforts to assist our school community at this time. We would ask you to respect our privacy at this time.